How much is the cost of this cute wreath please. $70 plus shipping. Send me your email address if you are interested and I’ll let you know the details and how to order. Thanks! 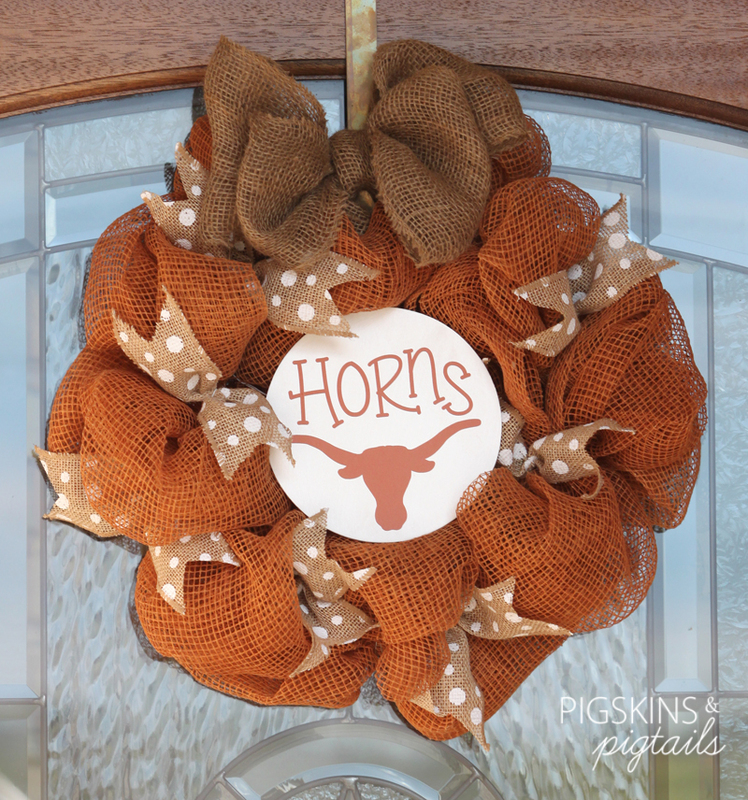 would like to purchase one Texas Longhorn Wreath. Please advise. Jennifer,my wife lives the wreath and we wish to get one asap. What do we need to do? I do not have any of these in stock. It is a seasonal item – I am not able to get the burnt orange mesh until the fall. Feel free to contact me then if you are still interested. Thanks!